At 7:51 p.m. on the evening of Wednesday, April 3, this year, as I was walking out of the history department of the main branch of the Los Angeles Public Library, I stopped for a moment by the card-catalog files in the library's second-floor rotunda. Suddenly, and unexpectedly, I had one of the most extraordinary experiences of my life. The library was closing in nine minutes, and for about the last half hour I had experienced that hollow sensation I had grown to know so well, the one that always accompanied the awareness of another day lost in Palo Alto, another afternoon misspent in Pasadena, another evening busted and shot in Los Angeles. Off and on for almost two years, I had been to all those places and more looking in vain for Robert James (Bobby) Fischer. To find him, to see him, had become a kind of crazy and delirious obsession, the kind of insanity that has hounded other men in search of, say, the Loch Ness monster. Fischer was the most gifted prodigy in chess, the game's equivalent of Mozart. 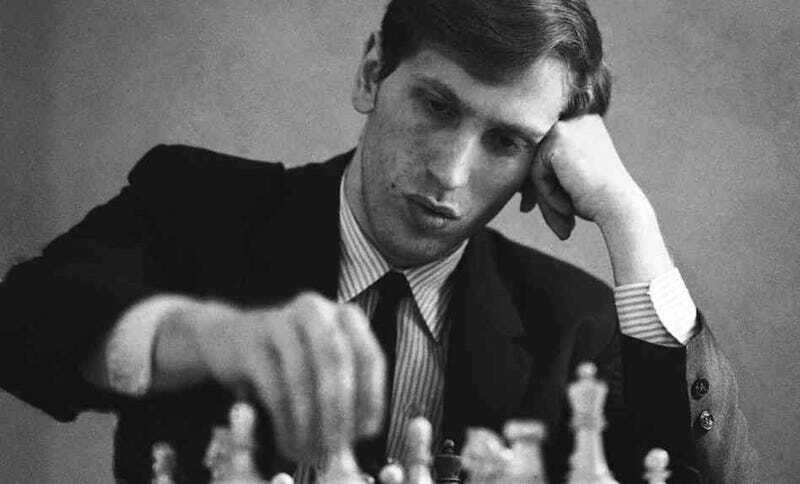 At age 15, in 1958, he became the youngest player in history to become a grandmaster, and his performance at the Interzonal and Candidates' matches in 1970 and 1971—in which he won an unprecedented 20 straight games against some of the strongest players in the world, without playing a single game to a draw—remains today the most enduring signature of his art and skill. When, in the summer of 1972, he overwhelmed Soviet world champion Boris Spassky in Iceland to win the world title, he merely reaffirmed what most chess masters already believed and still believe today. By a consensus of grandmasters, he had become the strongest chess player in history. "The greatest genius to have descended from the chess heavens," Mikhail Tal of Latvia, the former world champion, once said. This story can also be found in Nack's fine collection, My Turf.